Expectations and hopes were running high for this park. 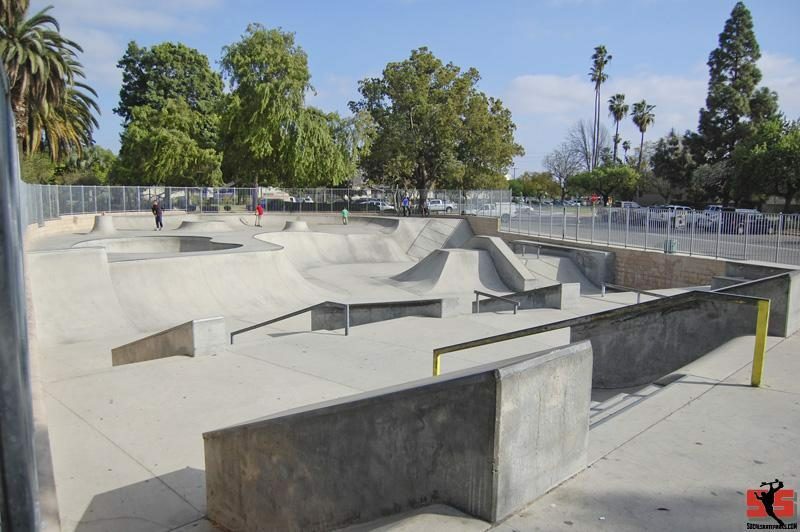 The park that surrounds this skatepark held some great skate history. For any Sadland local who sessioned the planters, the thought of a real skatepark here was a perfect idea. There were some good ideas here, a pool with tiles and coping, replications of the planters, unfortunately,this park didn't turn out too great. The pool is extremely tight and only about 5-6 feet deep. They only put in some tiny planter copies, nothing to really skate. The surface is extremely smooth and there are some nice banks and transitions, but most of them lead you right into the brick wall that surrounds the park. I think this park is worth a visit, but it probably wont be on your list of favorites.